The Trump Administration is planning to eliminate initiatives across the Government to protect civil rights. The cuts include the Labor Department division that has monitored discrimination among federal contractors for four decades. The Office of Federal Contract Compliance Programs and its 600 employees will be folded into another government agency. The leadership of the Environmental Protection Agency, including head Scott Pruitt, have proposed elimination of its environmental justice program, which addresses health-threatening pollution that is concentrated in minority communities. The program offers money and technical help to residents who face local hazards such as leaking oil tanks or emissions from chemical plants. Staffing will be sharply cut in the Education Department’s Office of Civil Rights, which has investigated thousands of complaints of discrimination in schools and set new standards for how colleges should respond to allegations of sexual assault and harassment. 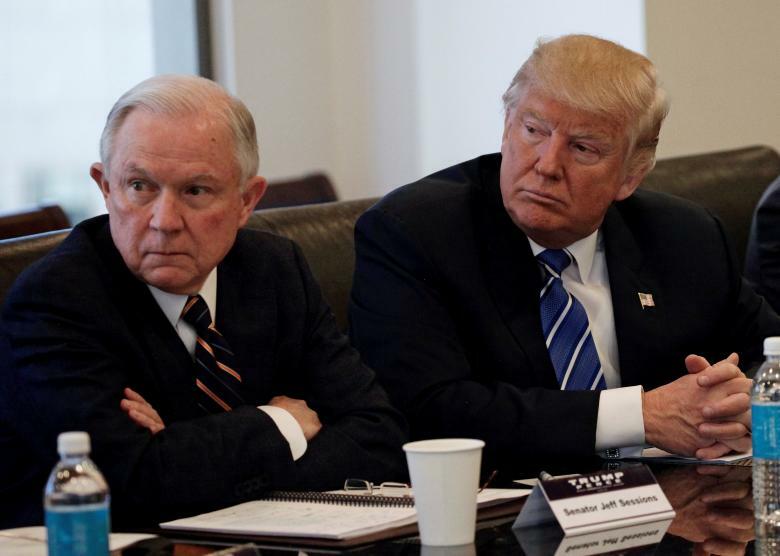 In the Justice Department, Attorney General Jeff Sessions has ordered a review of agreements to reform police departments. The challenge to a Texas voter identification law has been halted. With the Education Department, Justice has withdrawn federal guidance allowing transgender students to use school bathrooms corresponding to their gender identity. The Justice Department and other agencies have also cooperated in a crackdown on undocumented immigrants, despite complaints that civil rights have been curtailed or even abandoned in the effort to remove unwanted people quickly from the US. Acting on a pledge by Donald Trump, Government officials draft a rule to roll back a federal requirement for religious employers to provide birth control coverage in health insurance plans. The provision in the the Affordable Care Act has been challenged by dozens of lawsuits. The Office of Management and Budget said it is reviewing an “interim final rule” to relax the requirement. The step will likely bring lawsuits by women’s rights groups. On May 4, Trump issued an executive order instructing three cabinet departments to consider amended regulations to “address conscience-based objections to the preventive-care mandate”. The ceremony in the Rose Garden of the White House featured the Little Sisters of the Poor, a 178-year-old religious order that took the fight against contraceptive coverage to the Supreme Court. Trump said the order “sort of just won a lawsuit” said the “long ordeal will soon be over”. Medical specialists say the Affordable Care Act has increased women’s access to contraceptives, including effective methods such as intrauterine devices and implants, and contributed to a decline in unintended pregnancies. As they huddle around the desk, Trump likes to pore over visuals — maps, charts, pictures and videos, as well as “killer graphics,” as CIA Director Mike Pompeo phrased it…. The meeting with Mr. Gorkov is now being scrutinized by the F.B.I. as part of its investigation into alleged Russian attempts to disrupt last year’s presidential campaign, and whether any of Mr. Trump’s advisers assisted in such efforts. His bank is controlled by members of Mr. Putin’s government, including Prime Minister Dmitri A. Medvedev. It also has long been intertwined with Mr. Putin’s inner circle: It has been used by the Russian government to bail out oligarchs close to Mr. Putin, and has helped fund the Russian president’s pet projects, such as the Winter Olympics in Sochi in 2014. Vnesheconombank has also been used by Russian intelligence to plant spies in the United States. In March 2016, an agent of Russia’s foreign intelligence service, known as the S.V.R., who was caught posing as an employee of the bank in New York, pleaded guilty to spying against the United States.